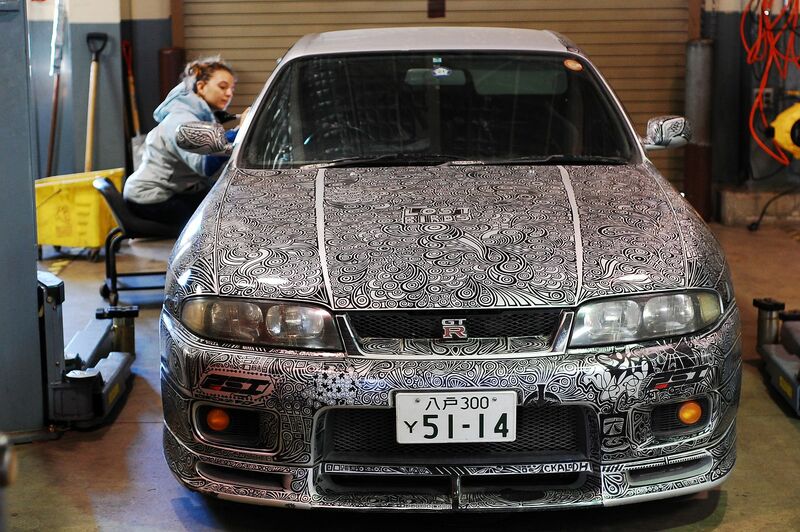 In Photos: Artistic Woman Doodled On This Nissan Skyline And Transformed It Into A Masterpiece. Fate can sometimes lead us to paths we never intended to follow and this is what happened to Collen Kelton. 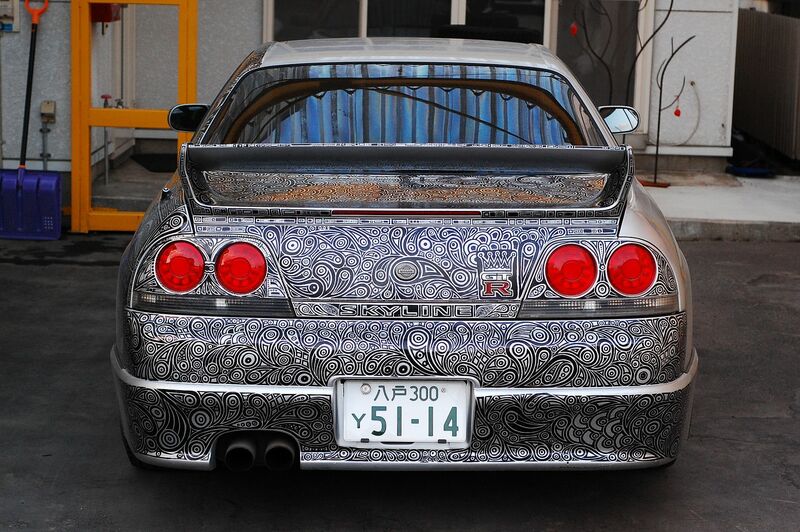 He got a transfer with the US military to Misawa, Honshu in Japan and after settling down with his girlfriend, decided to buy a Nissan Skyline R33 GTR. His plan was to modify and customize it into a purple model. 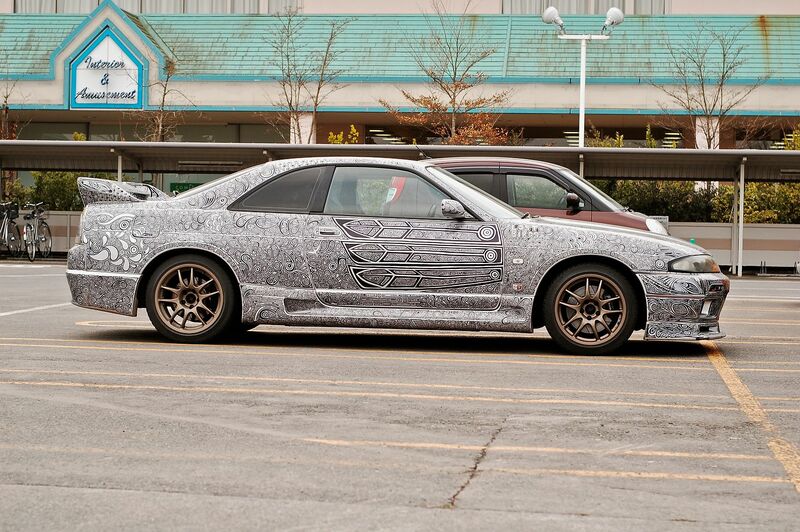 Two unsuccessful attempts later, he settled for his second least favorite color and bought a 1995 silver model. 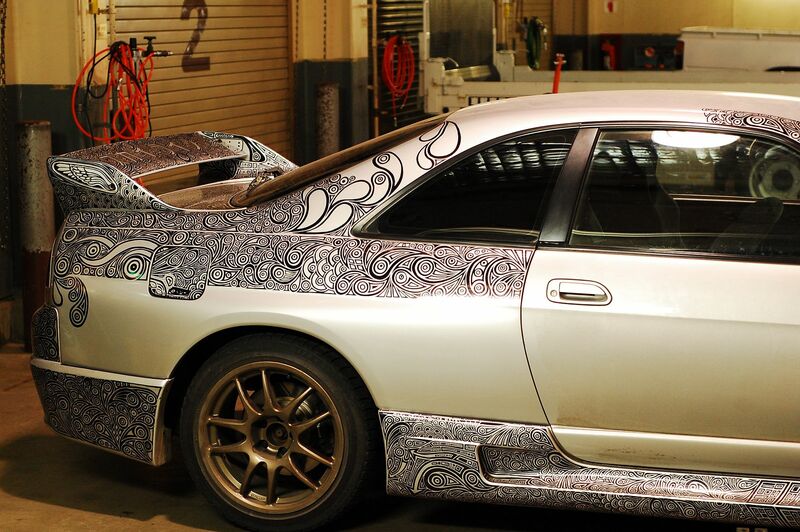 He intended to upgrade the vehicle’s interior and spray the exterior purple in a ‘Time Attack’ style, as he referred to it. 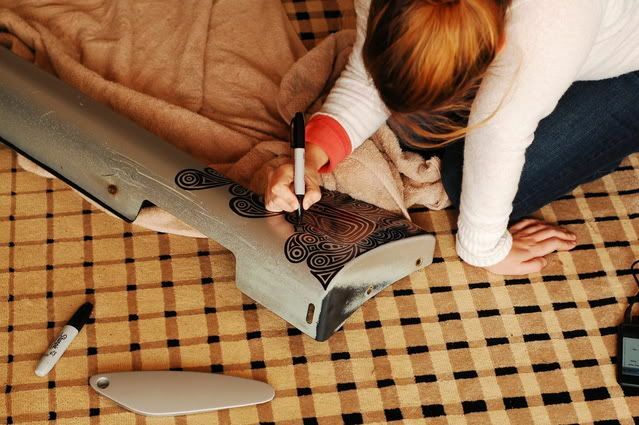 While still in the process of deciding what to do with the vehicle, Allison, his then girlfriend and now wife, asked to doodle over a scratch that was on the front bumper, using a black sharpie marker pen. Collen gladly let her do it since he planned to re-spray the vehicle anyway, so there would be no harm. Everything changed from then. 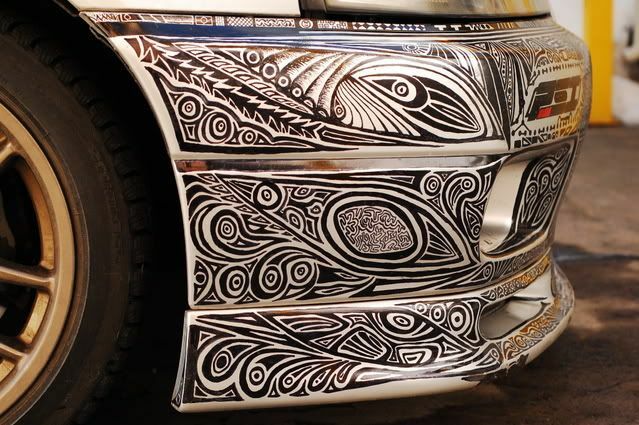 Allison had done such a remarkable job on the bumper that Collen, who was so taken by the incredible job, asked her to continue the artwork and see how the car would turn out. They named the project ‘Lost Birds Time Attack’. Collen regularly posted images of the project as it progressed on a forum on Nico Club, where Allison got applauded for her amazing job. Collen also posted on YouTube, a 90 second time lapse video showing 3 hours of Allison at work on the fender. 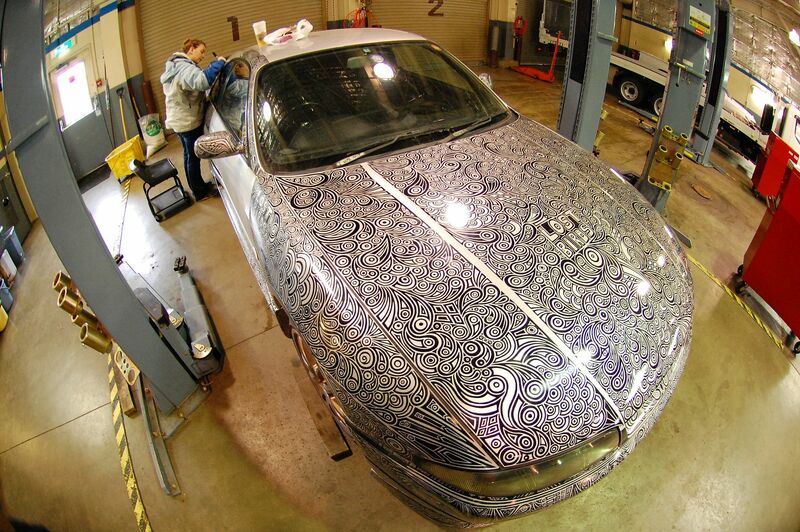 It’s estimated that working on the whole car took Allison over 100 hours but we couldn’t find out the total number of sharpie pens she used for the project. To prevent the marker pen artwork from washing off, they treated each complete section with a minimum of two lacquer coats.